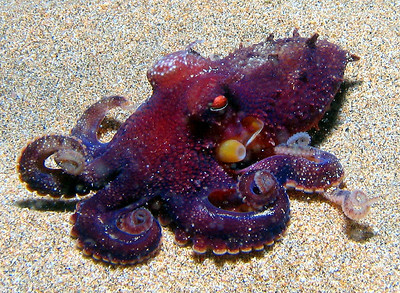 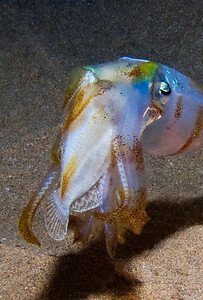 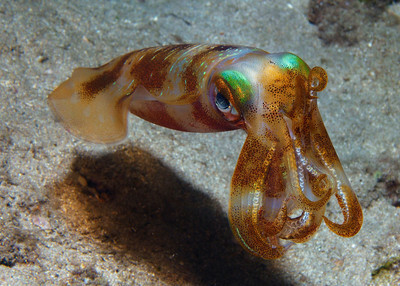 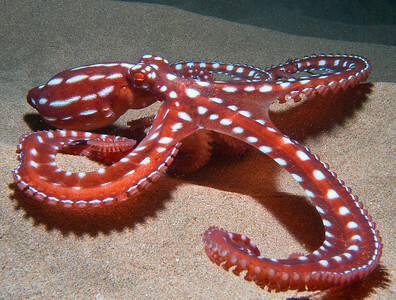 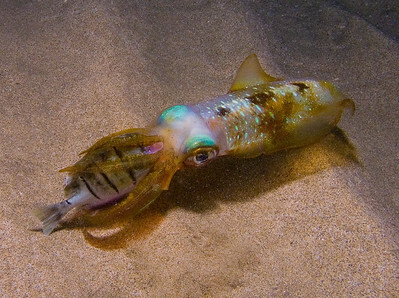 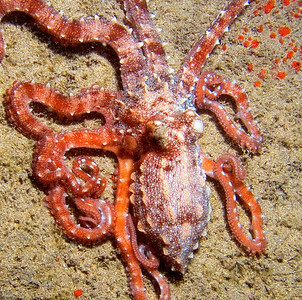 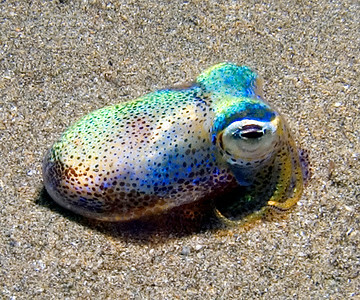 Instant color changes, clouds of ink, jet propulsion...squid and octopi are just incredible. 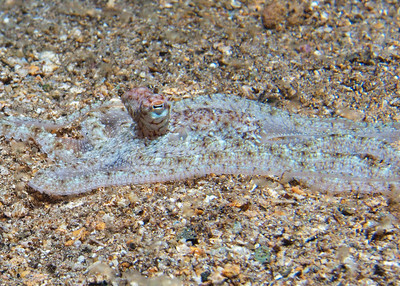 I've had flounder for dinner, myself. 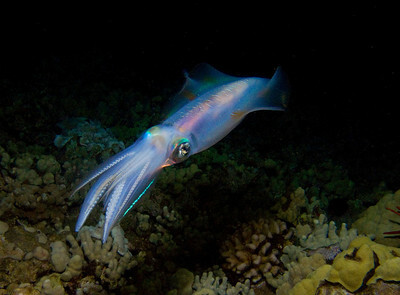 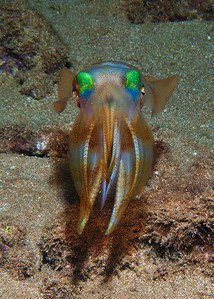 Oval squid (Sepioteuthis lessoniana)on a night dive in about 30' of water. 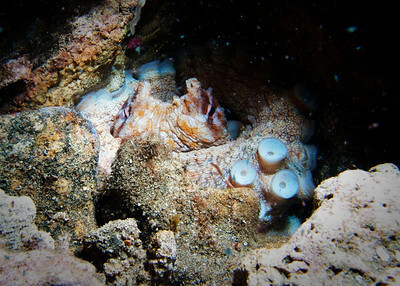 First time I'd seen this striking tentacle pose, resulting in one of my favorites of all the photos I've taken. 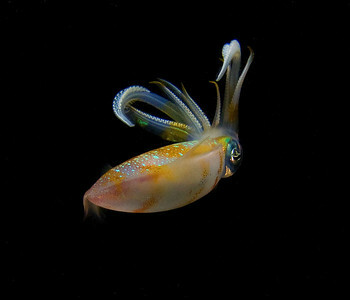 An oval squid (Sepioteuthis lessoniana)trying to figure out if I'm friend or foe. 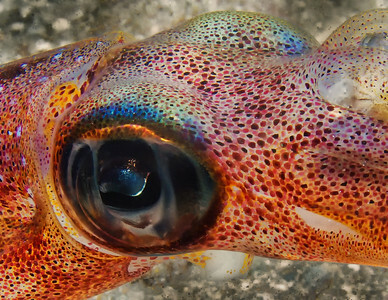 A very large specimen of Sepioteuthis lessoniana, showing beautiful coloration--notice the false eyespots? 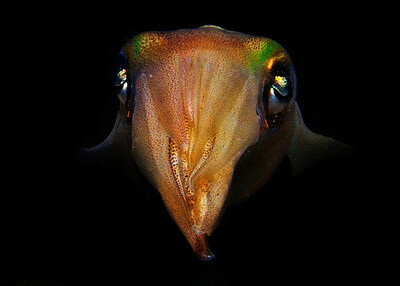 Anyone who's gone diving with me knows one of my favorite dive buddies and photo subjects--Sepioteuthis lessoniana, the beautiful Oval (or Bigfin) squid. 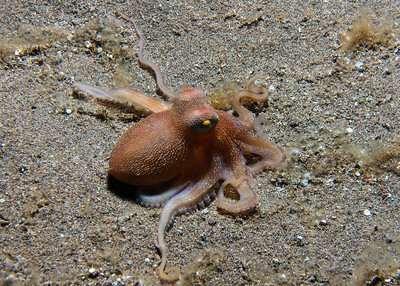 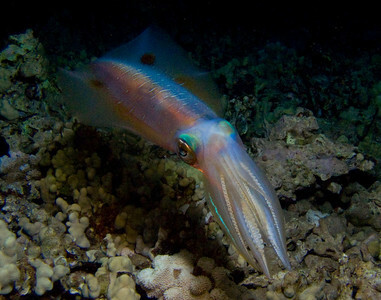 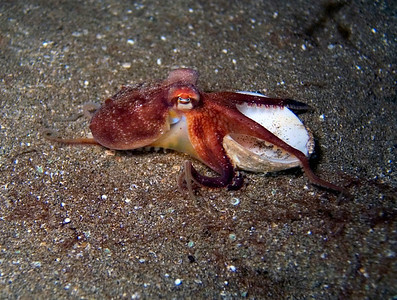 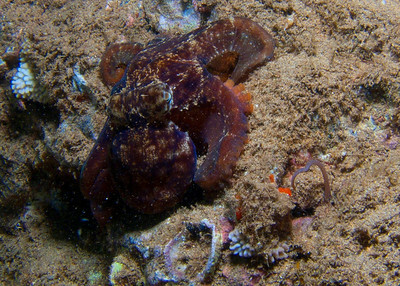 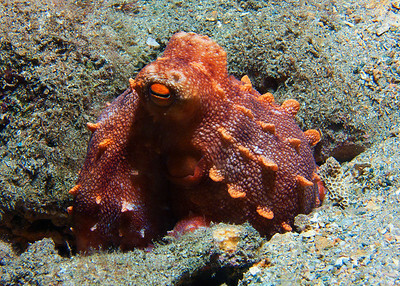 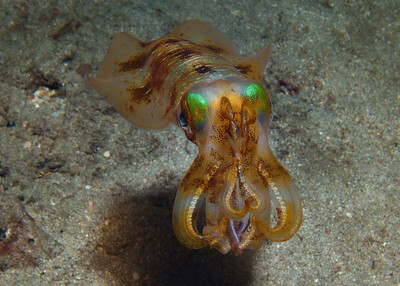 These curious and intelligent cephalopods make any night dive exciting. 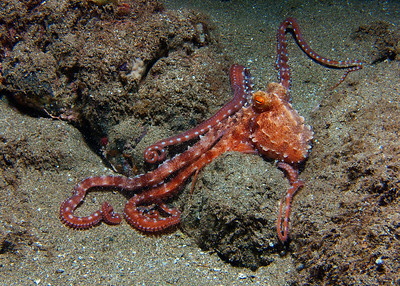 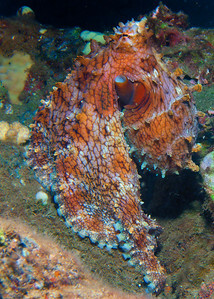 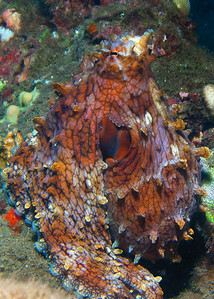 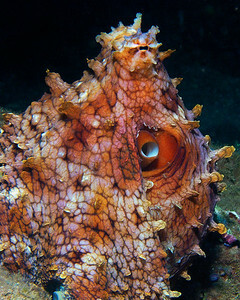 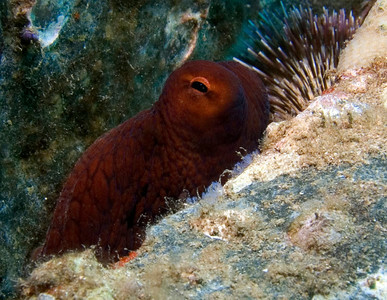 A glorious Day octopus (Octopus cyanea). 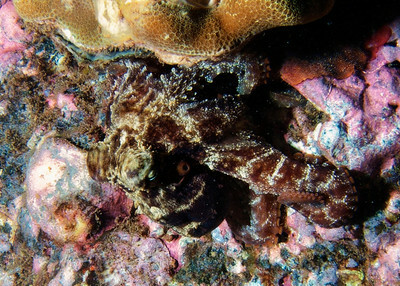 Rarely do these cephalopods pose for the camera this way...I did find some evidence nearby that my friend here had a rather large meal of sponge crab and spiny lobster, so perhaps he was just feeling content? 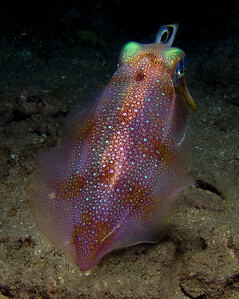 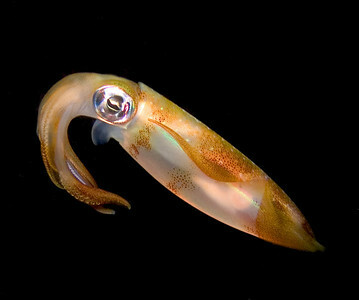 Oval squid (Sepioteuthis lessoniana), dining on a Convict tang. 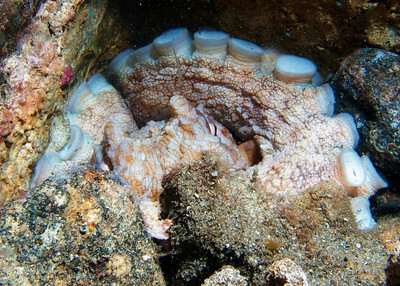 One of the biggest specimens of S. lessoniana I've ever seen. 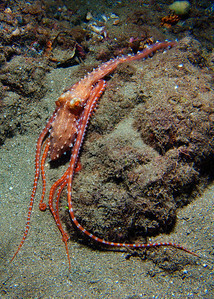 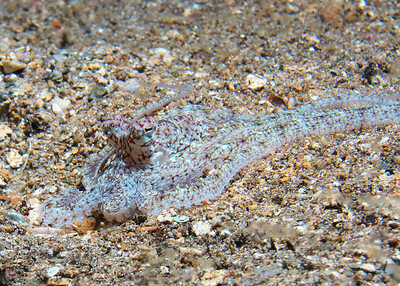 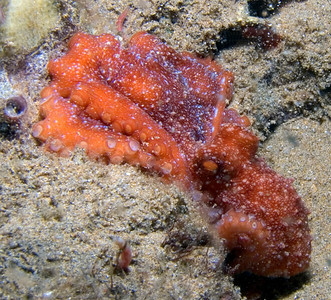 Crescent octopus (Octopus hawaiiensis), darkening to red to show displeasure at being found...I left this little one to its hunt shortly after. 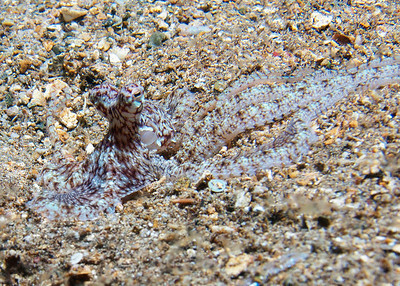 ...a Long-armed sand octopus moving to "plan b"...when mimicry and camoflauge don't work...try to look large and dig yourself a hole in the sand!